Welcome to Big Bear Lake Camplands nestled in the heart of the Appalachian Mountains of West Virginia. The privately owned family oriented facility was developed with fun, relaxation, and fellowship in mind. They are committed to a safe, convenient, and affordable camping experience. Since opening in 1972 Big Bear Lake Camplands has brought enjoyment to thousands of happy campers. Set in a lush wooded environment their camplands offer a back to nature atmosphere. Surrounded with over 5000 acres of property to explore and enjoy, Big Bear Lake has become a haven for many outdoor enthusiasts and nature lovers alike. 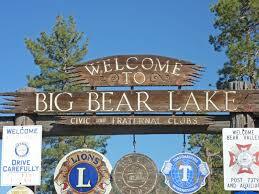 Unlike many campgrounds and RV parks, Big Bear Lake Camplands is a deeded property development. If you are interested in being a property owner, our comprehensive real estate staff is here to assist you. Want the Big Bear experience, but not quite ready for the commitment? Then Beaver Creek Village is just what you are looking for. Our exclusive overnight campground offers several camping options. With basketball, tennis, and volleyball courts, and our newly opened water park, Bearfoot Springs, Big Bear Lake offers mountains of outdoor activities. Hikers and bikers find our world class trail system both exciting and challenging, with some of best foliage and terrain on the east coast. Pet Friendly.